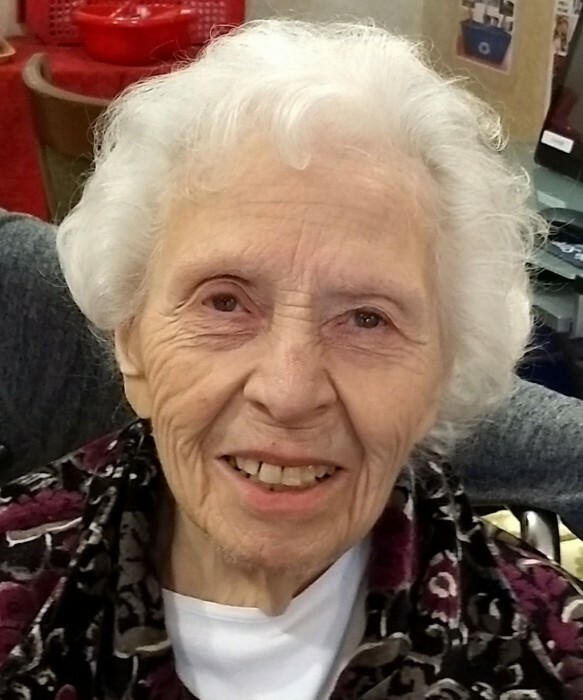 Obituary for Marie A. Simone | Bermingham Funeral Home, Inc.
Succasunna: Marie A. Simone passed away peacefully on September 1, 2018 at Merry Heart Nursing Home in Succasunna. She was 97 years of age. Marie was born on July 26th, 1921, to Carmen and Antonio Acanfora in Turin, Italy and came to the United States when she was 6 years old. She was raised in Newark and graduated with high honors from Barringer High School in Newark. In 1946, she married Genaro “Jerry” Simone, lived for 4 years in Newark and moved to Netcong where she lived most of her life and raised 4 children. Marie was a life-long learner mostly through her love of reading, but her formal education was not over. She enrolled in a Licensed Practical Nurse (LPN) course while working the night shift as a Certified Nurse’s Aid and later worked as a LPN in the Emergency Room of St. Clair’s Hospital in Denville. When Marie and Jerry retired, they moved to East Freetown, MA, and then to New Port Richey, FL. After Jerry passed away in 1997, Marie spent winters in Florida and summers in Succasunna until she moved to Succasunna permanently. She is survived by four children; Barbara Reilly and her husband Vincent of Succasunna, John Simone and his wife, Kathleen, of PA, Jerry Simone and his wife, Cheryl, of TX and Mark Simone and his wife, Janice, of FL, nine grandchildren; J. Reilly and his wife, Frannie, Brian Reilly and his wife, Nelly, Terry Reilly and his wife, Alyssa, Katie Faubert and her husband, Scott, John Simone Jr., Mary Simone, Nevan Simone, Kyra Simone and Sarah Simone, six great-grandchildren, sister Aurora Berger of IL and many loving nieces and nephews. There will be gathering a of family and friends at 9 a.m. on Saturday, September 15, in the Multi-Purpose Room of St. Therese Church in Succasunna followed by a Memorial Mass in the main sanctuary at 10 a.m. Subsequent interment will occur at Gate of Heaven Cemetery in East Hanover. In lieu of flowers, please send donations to Feed the Children (www.feedthechildren.org).